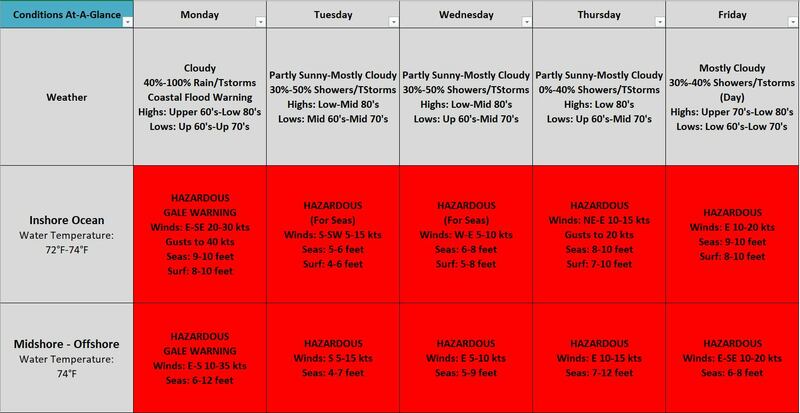 A very unsettled week with rain, showers, and thunderstorms and hazardous water conditions. Monday will see the greatest rainfall amounts with heavy rains all day. Tuesday through Sunday will have chances of showers and thunderstorms. Highs will vary from the 60’s to 80’s with lows in the 60’s and 70’s. 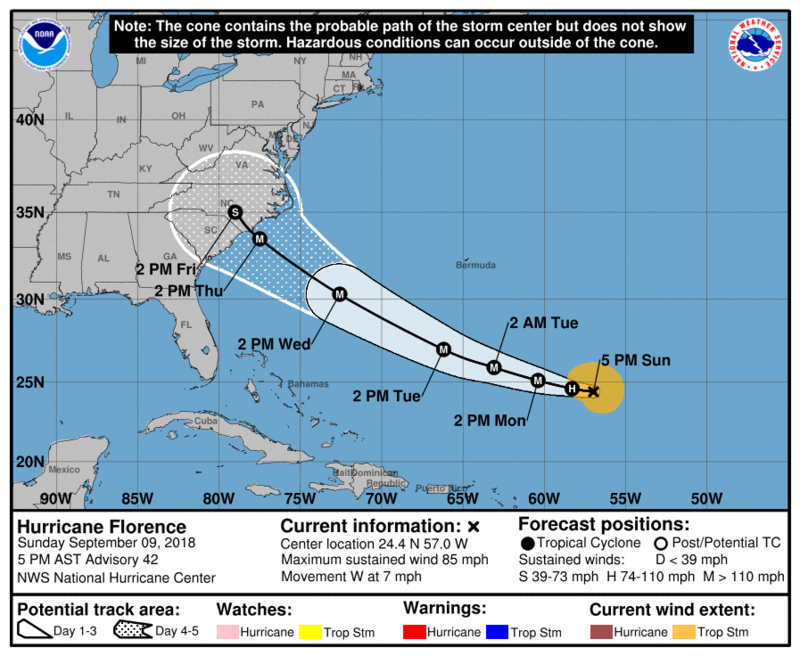 Additional rains are possible depending on the track and involvement of Hurricane Florence. 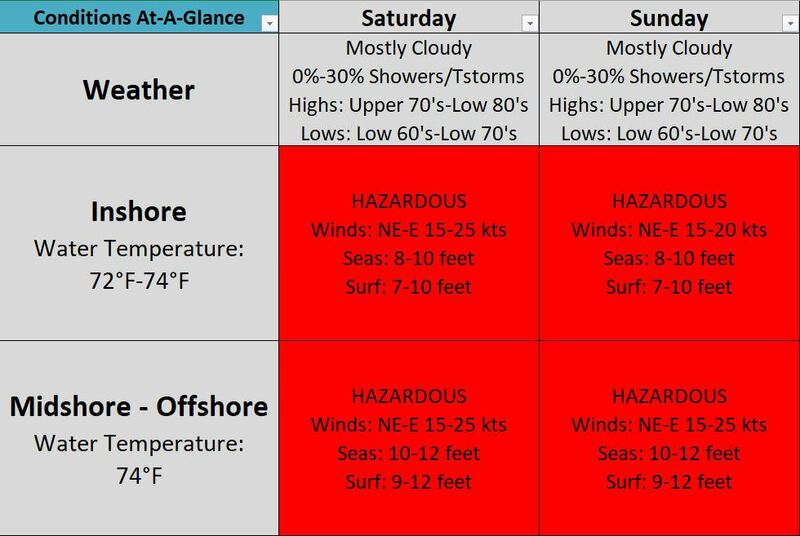 Water, surf, and beach conditions will be hazardous all week. Winds will range from 5-40 knots with seas 6-12+ feet. Seas are both increased from a low pressure system off the coast and large swells from Florence. The remnant low of Gordon will continue to lift to the north tonight and Monday. As it does so, it will pull a warm front through our region Monday and Monday night followed by a cold front Tuesday night. High pressure will then build in from the north on Wednesday. Some impacts from Hurricane Florence are possible late this week, but there still remains uncertainty regarding the track. 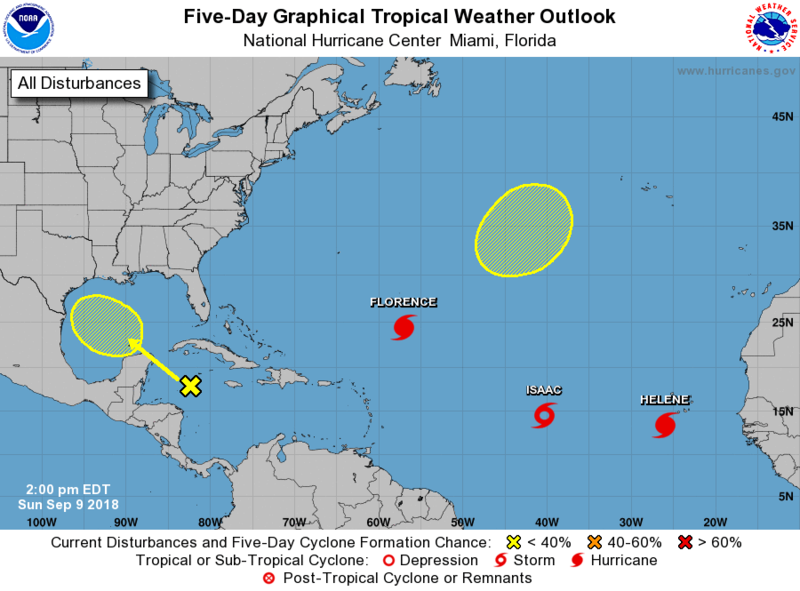 The Tropics are quite active. 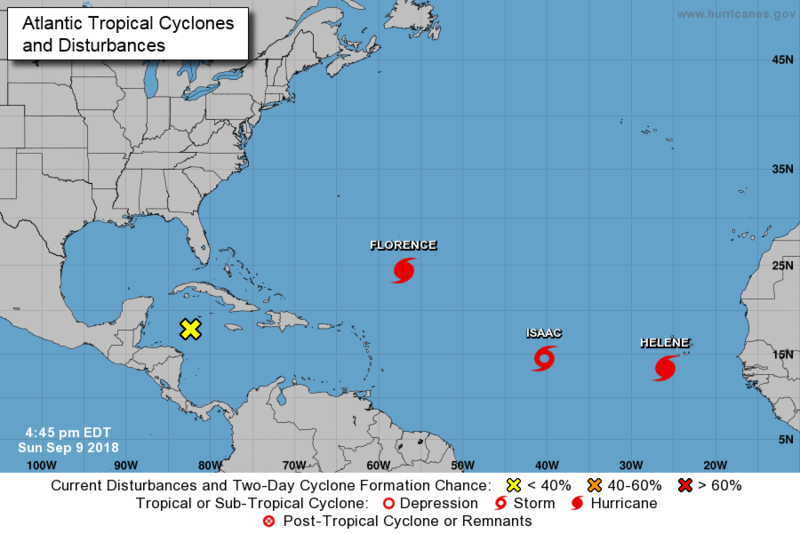 Hurricane Florence is taking aim on the East Coast, as a major hurricane. 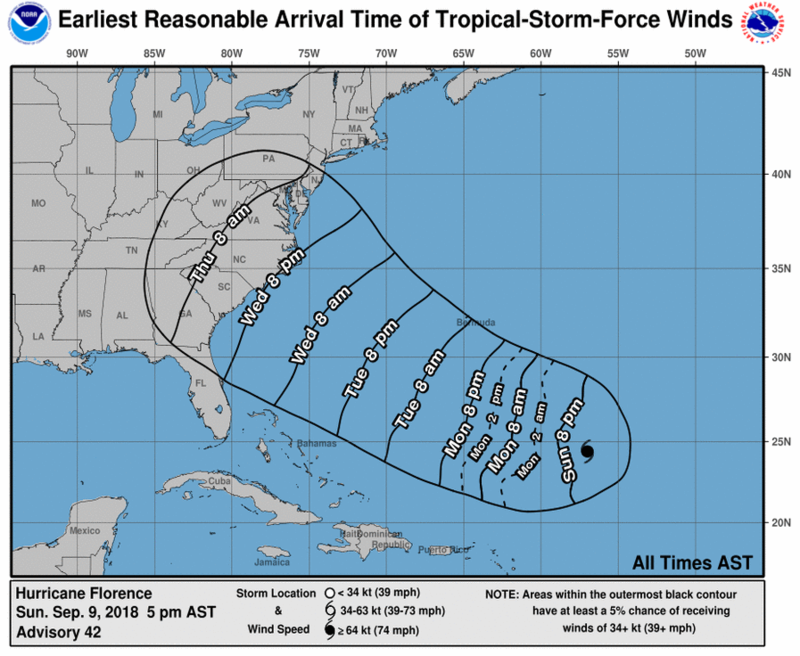 Georgia through Virginia looks to take a direct landfall, but this is still a few days out and could change. Tropical Storm Isaac will become a hurricane and move into the Gulf of Mexico. 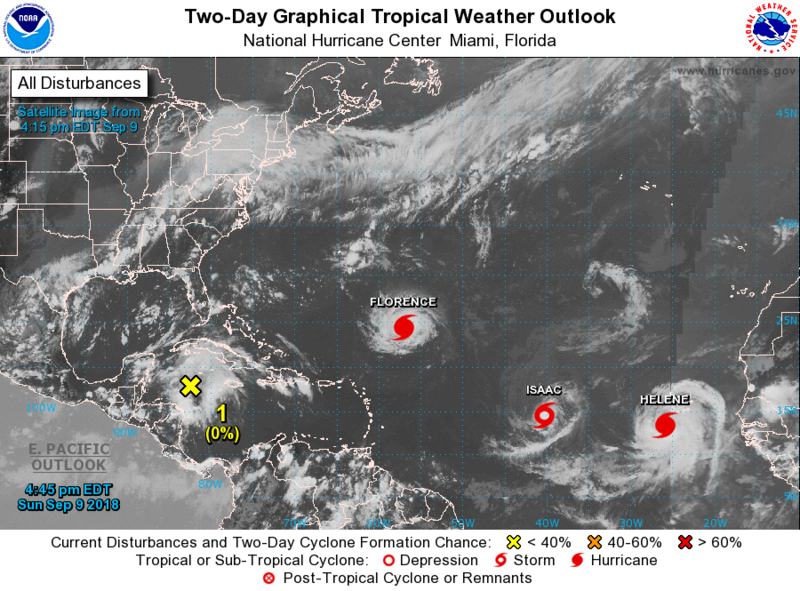 Hurricane Helene is off of Africa and should stay out at sea. There is another area of development being watched in the Gulf of Mexico. Right now, NJ should not have any direct involvement.